A flexible learning option delivered over 9 weekends (roughly every other weekend). This is perfect if you need to fit training for your fitness qualifications around ongoing work or family commitments. Coming Soon: Kettlebell Instructor – an ideal way to familiarise yourself with the safe instruction of this increasingly popular training tool. Coming Soon: Studio Cycle Instructor – qualify to be able to instruct this ever popular form of group exercise. Our 10% Student and School Leaver Discount is here to stay: we are pleased to be able to offer a discount to all 16-19 year olds, or anybody with a valid Student Card, on our Diploma courses or individual modules. 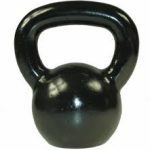 The Kettlebell can give you a range of fitness benefits including improved flexibility, strength, cardiovascular fitness and even fat loss. As the training base for Athletics Australia during this Summer’s Olympic Games, our Tonbridge School Centre venue has benefitted from a refit of the free-weight area in the gym. This time a focus on Nutrition……..
Clearly content is important too, however far too many people skip meals and have no routine which can lead to ‘panic eating’.